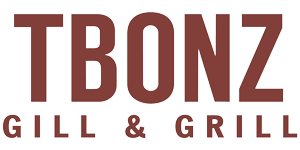 As the original Homegrown Hospitality Group concept, TBonz Gill & Grill continues to set the standard for serving fresh, quality fare that leaves customers fulfilled. For more than two decades, TBonz Gill & Grill has provided the community with a relaxed dining atmosphere, seasonally fresh cuisine and excellence in service. TBonz Gill & Grill also boasts an award-winning selection of Homegrown Ales and plenty of family-friendly options to please any palate. We proudly serve Certified Angus Beef ® brand steaks and burgers to provide you with the highest quality beef available. A cut above USDA Prime, Choice and Select, 10 strict standards set the brand apart. The secret to the Certified Angus Beef's ® outstanding flavor is marbling—the little, white flecks within the meat that ensure every bite is flavorful and juicy. Since its start in 1978, the Certified Angus Beef ® brand has required Angus beef to meet a long list of standards for flavor, tenderness and juiciness. You’ll taste the difference in every juicy, tender and flavorful bite. CELEBRATING 30 YEARS IN CHARLESTON! we’re featuring some of our favorites at 1989 prices. So pick your favorite, and enjoy a great meal – at a price you haven’t seen in 30 years.